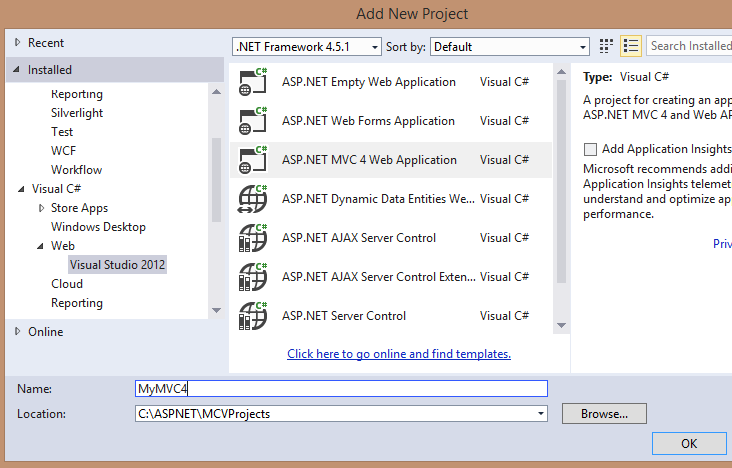 In this blog we will go over how to upgrade your existing project which uses ASP.NET MVC 4 to ASP.NET MVC 5 using NuGet. During the upgrade you will encounter some errors but they are easy enough to fix by changing the Web.Config file. In the first blog we will create a simple ASP.NET MVC 4 application from scratch. 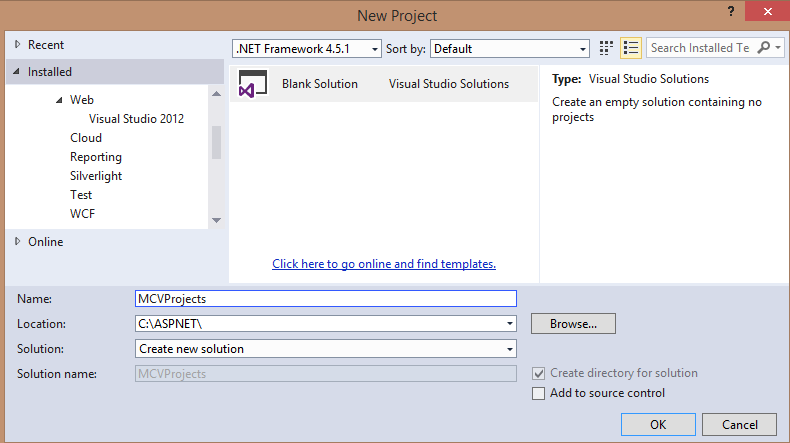 Create a blank solution in Visual Studio call "MVCProjects"
2. 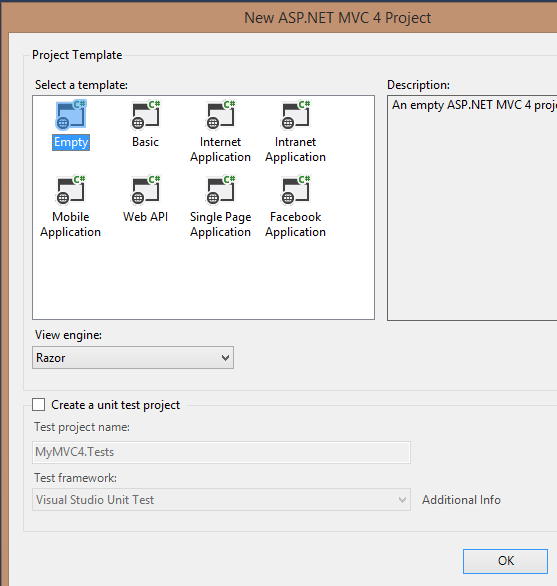 Now add a new project to the "MVCProjects" by selecting ASP.NET MVC4, call it "MyMVC4". 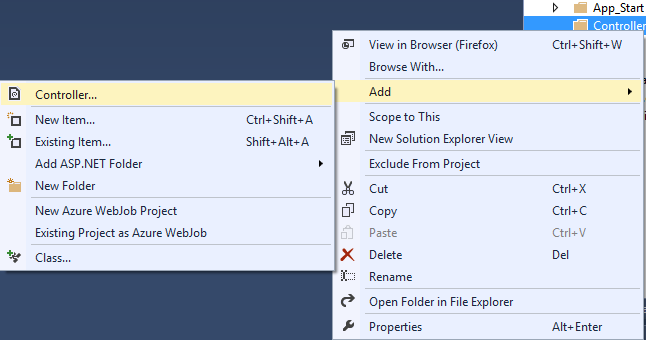 Make sure you select Visual C# → Web → Visual Studio 2012 → ASP.NET MVC 4 Web Application, then click "OK"
3. 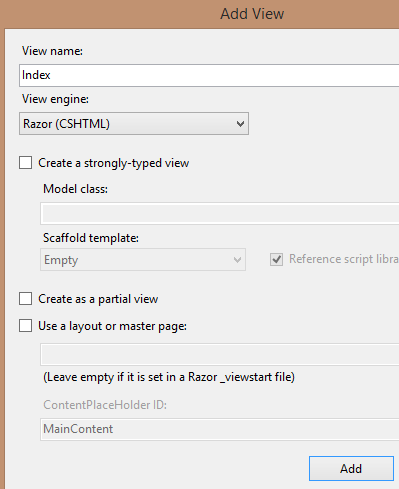 Select the "Empty" template, and "Razor" as the "View Engine", then click "OK"
4. Right click on the "Controller" and select "Add" → "Controller"
5. 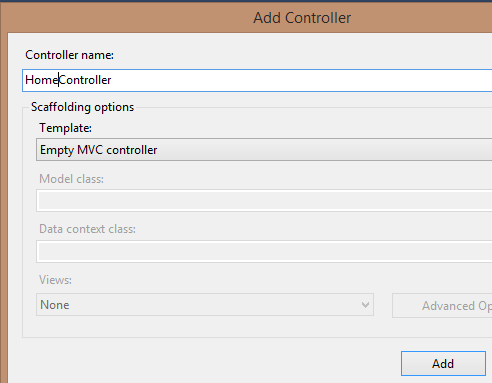 On the "Add Controller" screen type "HomeController" on the "Controller name" text box and select "Empty MVC controller". We just want to keep things simple for this blog. Then click "Add"
8. Right click on the "Index()" method and select "Add View"
9. Uncheck the "Use a layout or master page" checkbox. Accept the default settings, MVC uses conventions so the view has the same name as the method name in the "HomeController.cs" file which is "Index()", then click "Add"
10. In the "Views" folder you see that the "Home" folder has been created with the view "Index.cshtml", the .cshtml extension means that the view uses the C# syntax. 12. Press Ctrl+F5 to run the application, you will see the following.